Today I had my appointment at the IVF clinic, and we've begun mapping out a plan for my first Frozen Embryo Transfer. My cycles are always a little off-kilter, with few definite patterns, so the plan is to begin monitoring my follicles on Cycle Day 14 (CD14), and see if there's a dominant one forming. Once they identify this, then I'll begin blood tests every couple of days, and then every day. We really don't want to miss the moment of ovulation, so I'm happy to have all of this extra support! I've been told that using Ovulation Predictor Kits is totally optional, because they'll have a better handle on things by doing the regular scans and blood tests. Five Days after Ovulation occurs, I'll be booked into the hospital for my Embryo Transfer! So really, the only confirmed date I have on the above 'timetable' is my first ultrasound next Thursday 6th Sept on CD14. The rest will depend on what my body decides to do. So what could stop this cycle from happening? If our first embryo doesn't survive the thaw, we've given permission for them to defrost the 2nd (and final embryo), so if THAT last one fails in the thaw then it's all over red rover. We'll be back to square one, and have to do another stimulated ICSI/IVF cycle. Booooooooo! I've been told that my hormonal levels are sufficient enough to support the embryo after transfer, and therefore I need no additional progesterone support. I just hope this little one wants to stick around. Hopefully it'll be 3rd time lucky, as I've had 2 miscarriages from 2 pregnancies... and am not keen to go through another one! We're off on our little vacation to Perth tomorrow. I can't wait to get away, escape the routine and visit my husbands family! It's a well deserved break after a tough year. It'll also help distract me from thinking about IF. I'll try to keep up with your blogs via my smartphone, but I'm not sure if I'll have time to do any of my own blog posts, until we get back to Melbourne next week. Catch ya soon!! Praying for you and the little beans! Hope you have a great vacation!! What exciting news. You will do great and my fingers crossed that your body does everything it is suppose to. Enjoy your vacation to Perth! Sounds like a plan! I'm hoping those frozen embies are strong and everything goes smoothly. GOOD LUCK!!! 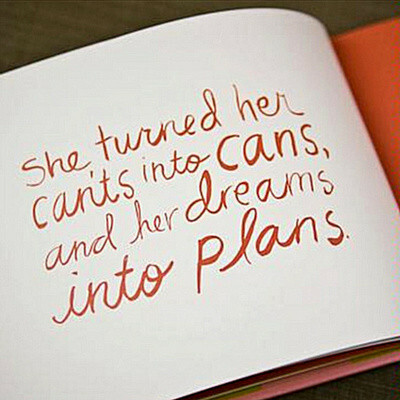 It's exciting to have a plan! Enjoy your vacation and good luck! Yay for a vacation! Hope you have a great time! Also, this whole unmedicated FET cycle thing facinates me. I'm on day 3 of Lupron for my FET.